Silhouettes are one of the unique souvenirs available to you at Walt Disney World. The one on the left above is of me at age 3 on my first WDW vacation. The one on the right is of my daughters and was done in May 2012. Tink was also three years old and Minnie was 11 months and enjoying her first visit. I plan on having the girls sit for these from time to time. It will be a fun way to watch them grow. I was surprised at how quickly the artist worked. We didn't have to wait long at all and with two squirmy little girls right before a parade in wicked heat, that was a blessing. The silhouette of two faces is about $17 and you get two mirror image copies. That's not bad for such a personalized item. If you'd like their oval frame, it is reasonably priced but I chose to frame it myself. The backing paper is a standard 5x7. Our silhouette was done near the Christmas shop in Liberty Square. There is also a cart on Main Street and I believe one in France at Epcot and at Downtown Disney. The Disney Parks Blog had a nice post on this topic including a video. 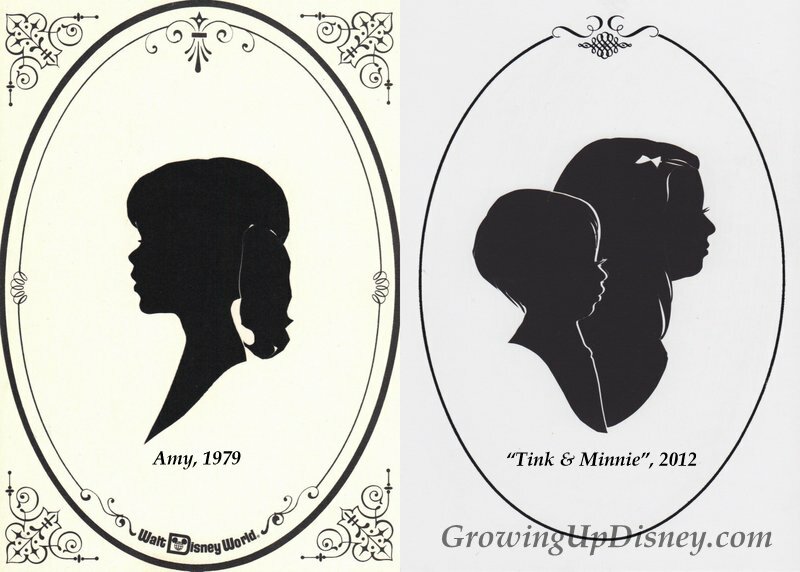 Have you had a silhouette done of yourself or your family? Is this a must-have souvenir for you? My husband recently obtained his silhouette from his mom and it is adorable! I can't wait to hang it in our new apartment. (We are in the process of moving.) We've been wanting to get a recent one (I've never done it) but we never feel like we have enough time in the parks to sit. So maybe for an upcoming trip in 2013. Thanks for sharing this! Hope you have a great Labor Day weekend! 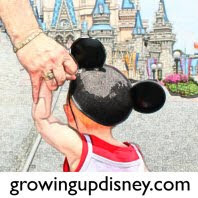 After 7 years since getting bitten by the Disney bug and 9 trips, my obsessive planning, belonging to an online Disney community, and reading several Disney blogs, I embarrassingly admit I only just heard of this recently :( And until this post, I didn't even know where on property they did them. So thank you! I may have to do it during our upcoming trip! !